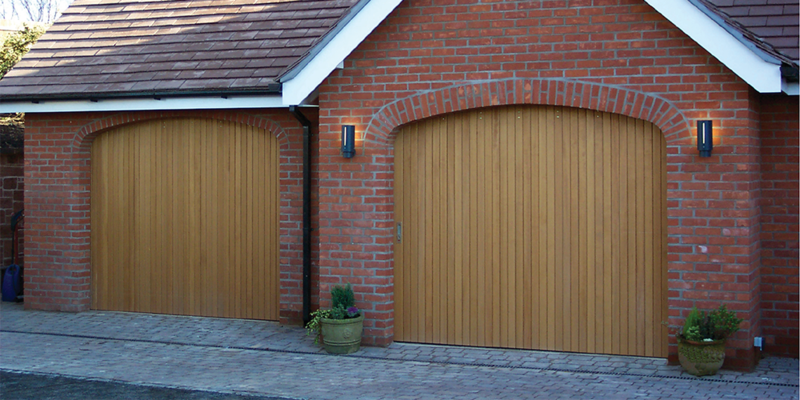 The Rundum Meir timber doors are available in 2 basic door types - The Original and the Side Sectional. 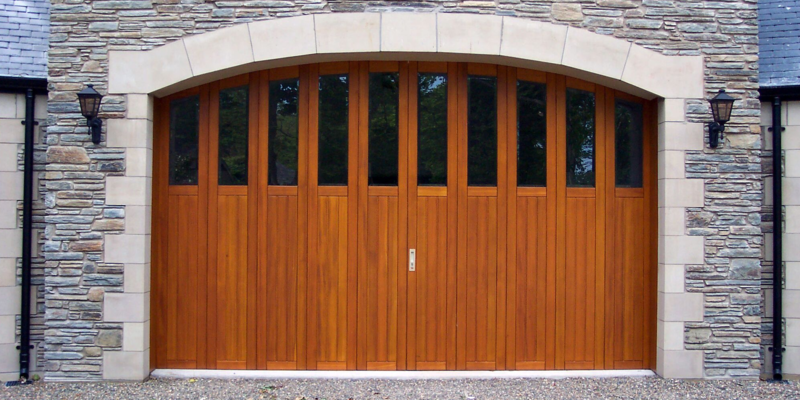 Both door types are hand made from the finest quality timber sourced from sustainable sources and available in many different species - Oak, Larch, Spruce, Hemlock, Iroko and Cedar to name a few. 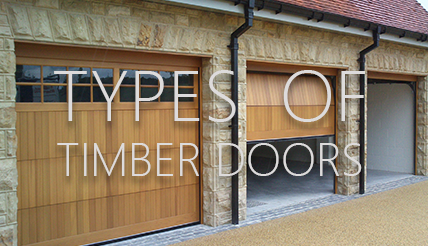 Nothing is left to chance with the timber as each door is manufactured almost entirely from timber. The Original Rundum is a round the corner door system constructed from vertical timber slats with shaped interconnecting profiles to lock the sections together when closed. Joined by stainless steel straps this is a simple but effective design with great flexibility in how it moves around with the possibility of 'snaking' the top and bottom track around obstacles in the garage as required. A side sectional door opens sideways, around the corner or straight sliding along one wall although does not have quite the flexibility of the Original model in the tracking around obstacles internally. 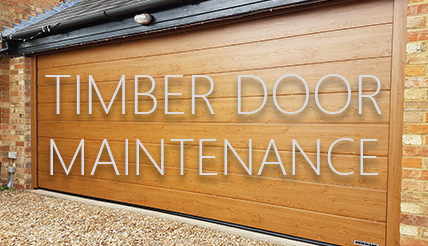 A side sectional timber door is built up from larger individual joinery made timber panels offering the possibility of almost any design with or without glazing sections. 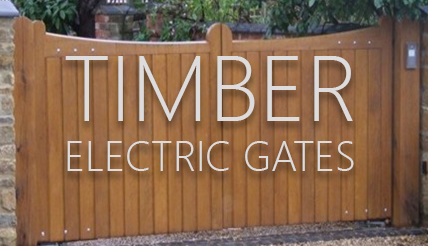 The timber panels are built in 2 different specifications - basically a single timber skin or a double skin. The door panels are suspended from a top hanging track with the bottom of the sliding garage door guided in either a traditional u-channel set into the floor with drainage facilities or a surface-mounted inverted T-bar. 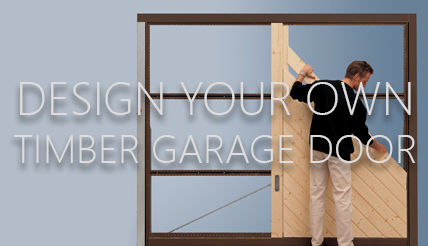 Sliding garage door opening is usually along internal garage walls. The sliding door can be partially opened to allow pedestrian access or single bay use for one car on larger double or triple width garages. 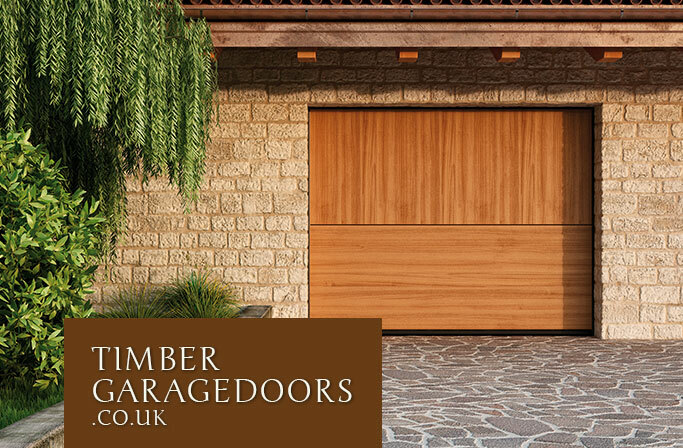 These superb timber doors can be constructed in nordic spruce, superior spruce, larch, hemlock, oak and sapele as a standard choice with factory finishing highly recommended in either a wood stain or paint treatement of the highest standards. Few width or height restrictions apply and very little headroom is required.